Ever since I moved to Manila, I have been lucky to try some international brands. Yes, it's makeup heaven out here and I hoarded a lot which is now appalling me! Anyway, having The Face Shop flagship store near my place and blame it on the amazing offers they keep running and the quality of the products, I keep purchasing stuff every now and then. I have been an absolute fan of their Jeju Aloe Gel which my skin loves. 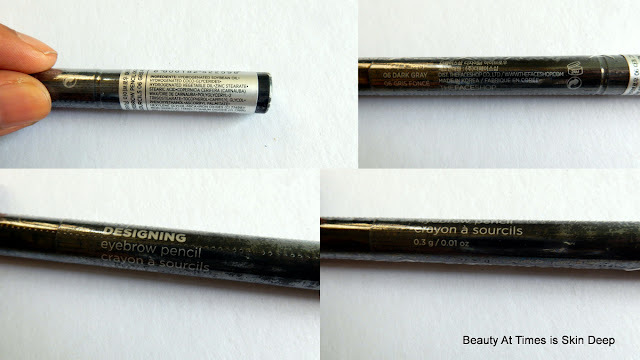 My another absolute must have is the Brow Design Pencil in Dark Grey. These do come in several colours, but not each and every is available here ( as I see). The Dark Grey matched my brow colour perfectly. On a Buy 1 Get 1 offer, I picked up two. Price: 225 PHP ( 350 INR approx.) I got buy 1 get 1 which makes these dirt cheap. There's the pencil side one one end and a spoolie head on the other. I love this because I can just keep combing and getting my brow hair in place while I pencil through. The pencil is not too soft nor highly pigmented which is great because you don't want to go overboard while filling in and a lot of pigment in one go can look weird and would be difficult to control. The core is also thin rectangular in shape and is slant on one side which means, it doesn't require sharpening or wouldn't get out of shape. Filling in precisely gets easier as well. The overall look I get is something very natural looking. My bald patches look just filled in. It is like 'My-brows-but-better' kind of look I get out of this. Overall, I love this Brow Designing Pencil to the core. I actually use these everyday and from the amount of use I get, it's going down fast. While travelling as well, I keep this in my bag for quick touch ups. The neat natural looking brows frames me face beautifully for the clean look. Do I recommend? Yes. 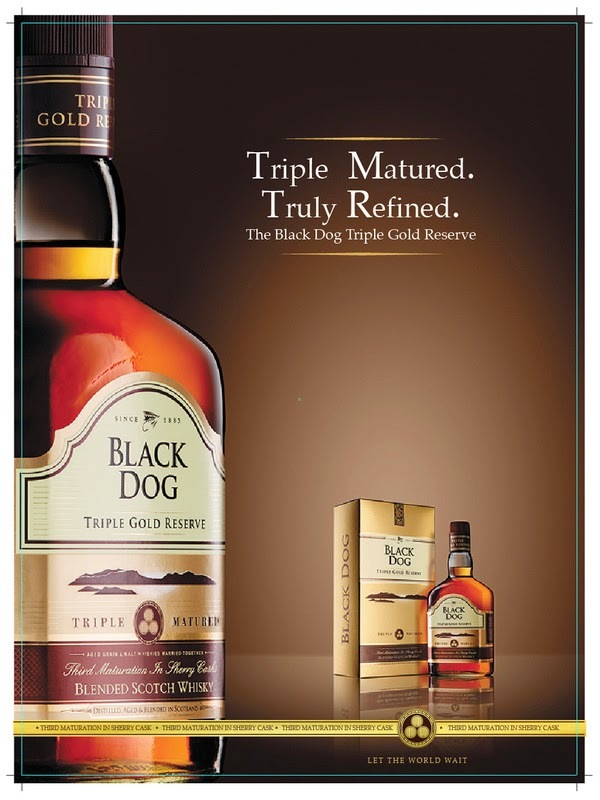 If you find these at reasonable price, do get hold of these. After having used these, I don't know if I would be able to bring myself to spend way more on L'Oreal or Maybelline or brands like that both because of the price and the quality. Verdict: The Face Shop Brow Designing Pencils are wonderful to have for the price and quality and also for the selection of colours available. I am waiting for another offer where I want to pick up at least 4 of these! Have you tried The Face Shop Brow Designing Pencils? What is your favourite eye brow product? 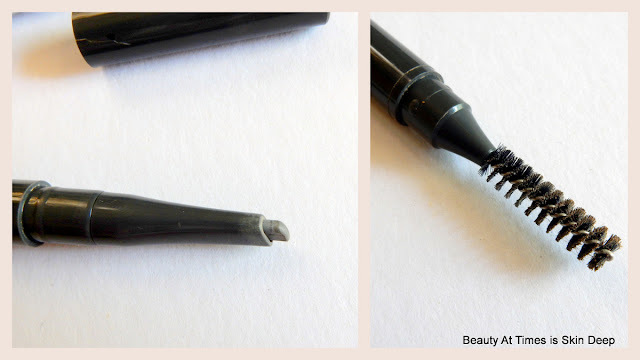 This brow pencil suits your brows really well and BOGO offer is always amazing! I'm so much into brow stuff and this looks totally sensible..spoolies are such a practical thing to have long with the brow product. I haven't tried any Face Shop products and this brow pencil really makes me want to give it a try.